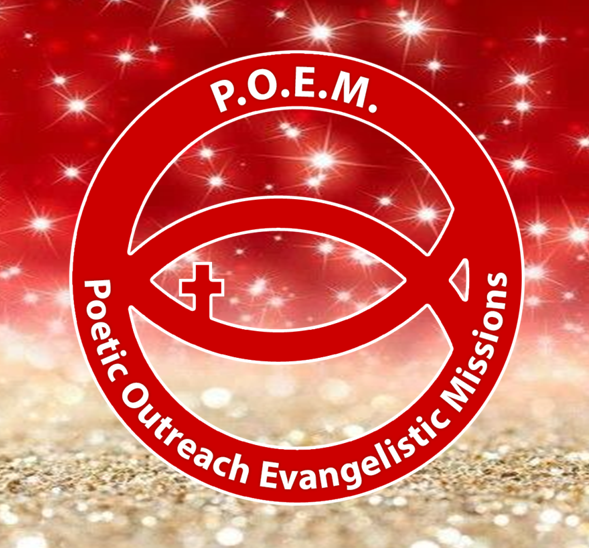 P.O.E.M. is a faith-based creative arts non-profit ministry. Whether read silently from the page or exhorted aloud from a stage, poetry is powerful! Poetry can inspire hope, poetry can build faith, poetry can encourage and motivate. Poetry can comfort those who mourn. Poetry fosters community. Poetry can compel people to come to Christ! Poetry is spiritual because it touches the heart and soul of the reader and listener. The Bible contains several poetic books because God is the original and eternal Poet! We share the "Good News" through spoken word presentations, poetry readings, videos, print media, direct mail, and social media platforms. - Assistance for the Elderly and Homeless (Shelter, Medical & Dental). Thank you for your kind donation. Your donation is tax-deductible and your receipt will be emailed to you immediately for your records. Your generosity in greatly appreciated. May God's blessings overtake you! P.O.E.M. is an auxiliary of BITPCF EIN# 34-1982467. All donations are deemed tax-deductible. No goods or services were provided in exchange for your contribution.